Join our team. Make a difference. Build something great. We are looking for a Node.js developer with a burning curiosity, passion for building great products, track record of writing maintainable code, and reputation of being reliable and efficient. Activity budget to try items on Vimbly -- try one, try them all! Email your resume to dev-recruiting+node@vimbly.com with "Node.js Developer for Vimbly" in the subject line. In order to be considered, describe your favorite Node feature and why you like it. We are looking for a front-end developer with a burning passion for building beautiful, detailed and polished user experiences, a track record of writing maintainable code, and reputation of being reliable and efficient. We are looking for a new PHP developer with a burning curiosity, passion for building great products, track record of writing maintainable code, and reputation of being reliable and efficient. Email your resume to dev-recruiting@vimbly.com with "PHP Developer" in the subject line. Include your favorite framework and explain why you like it. We are looking for an exceptional designer of beautiful and intuitive websites to advance Vimbly to the next level. We highly value the look, feel, and organization of excellent websites -- and we highly regard the people that combine artwork and functionality. The best candidates for this role have designed several clean and modern sites with beautiful design elements that enhance the user interface. Send an email to recruiting@vimbly.com with "Master Designer" in the subject line. Include your resume, portfolio, and an answer to "what's a color palette that hits an extreme on your scale (either you love or hate it)?" We are looking for highly motivated, hard-hitting sales managers that will help Vimbly build our relationships with activity vendors. This is a high-impact role that is critical to the evolution the company going forward. The best candidates for this role have worked in an account sales role and demonstrated measurable success over an extended period of time. Positive attitude and a passion for fun activities! Email your resume to recruiting@vimbly.com with "Vendors, here comes the A-team" in the subject line. Include your opinion on the most charismatic movie character of all time -- and be ready to defend it! Vimbly is a funded and profitable web 2.0 startup looking for a highly motivated, hard-hitting platform developer to join the team. 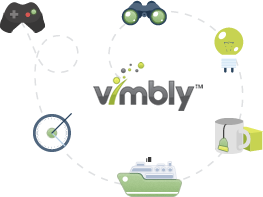 Vimbly is a fast-paced company focused on creating best-in-class and beautiful code. At Vimbly, you’ll work side-by-side with proven talent, creative intelligence, and smiley faces (with firm but non-painful handshakes) -- out of our office in the best city in the world, right across from the Empire State Building. Your work will have a direct and meaningful impact on the product. We aren't looking for another cog in the wheel. You will be given significant responsibility and independence. You will be challenged. We are looking for a platform developer intern with a process-oriented mindset, track record of writing maintainable code, and reputation of being reliable and efficient. Email your resume to dev-recruiting+platform@vimbly.com with "Platform Developer Intern" in the subject line. In the body of the email, describe your favorite Node feature and why you like it. Vimbly is a funded and profitable web 2.0 startup looking for a highly motivated, hard-hitting front-end developer to join the team. Vimbly is a fast-paced company focused on creating beautiful, best-in-class products. At Vimbly, you’ll work side-by-side with proven talent, creative intelligence, and smiley faces (with firm but non-painful handshakes) -- out of our office in the best city in the world, right across from the Empire State Building. Your work will have a direct and meaningful impact on the product. We aren't looking for another cog in the wheel. You will be given significant responsibility and independence. You will be challenged. Interns will receive meaningful guidance within each of their duties during the program. Vimbly has an open door culture and encourages asking questions. This company is built on not accepting the status quo. Send an email to dev-recruiting+frontend@vimbly.com with “Front-End Developer Intern” in the subject line. Include your resume and the answer to "what turns everything around but does not move?" Vimbly is a funded web 2.0 startup looking for highly motivated, hard-hitting interns to join the team and strengthen our key business partnerships. The Vimbly platform enables people to discover and book the best local activities. The company is a small place where interns will have the chance to wear many hats. If you want to perfect your coffee brewing skills, you need not apply. This role has the potential to have a lasting impact on the company. 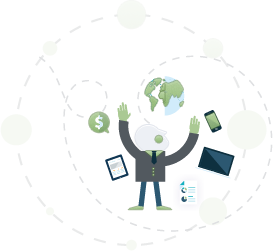 Interns will get hands-on experience in business development efforts with regard to vendor relationships. Interns will receive meaningful guidance within each of their duties during the 12-week program. Vimbly has an open door culture and encourages asking questions. This company is built on not accepting the status quo. Perks include free lunch and dinner in the office, unlimited snacks and artisanal coffee, monthly massages and manicures, discounted Vimbly activities and more (we have to keep some surprises)! Send an email to recruiting@vimbly.com with "Business Development Intern" in the subject line. Include your resume and, in yes or no form, the answer to "Can you sell ice to an eskimo?" Vimbly is a funded web 2.0 startup looking for highly motivated, hard-hitting interns to join the team and engage directly with our Vimbly users to learn about what makes them happy. The Vimbly platform enables people to discover and book recreational activities. The company is a small place where interns will have the chance to wear many hats. If you want to perfect your coffee brewing skills, you need not apply. This role has the potential to have a lasting impact on the company. Interns will have the opportunity to work directly with management and get hands-on experience interacting with Vimbly’s users and vendors. This role is entrusted with representing the Vimbly brand in a professional capacity. Email your resume to recruiting@vimbly.com with "User Engagement Intern" in the subject line. Include your opinion on the most charismatic movie character of all time -- and be ready to defend it! At Vimbly, you’ll work side-by-side with proven talent, creative intelligence, and smiley faces (with firm but nonpainful handshakes) — out of our office in the best city in the world, right across from the Empire State Building. Your decisions, analysis, and work will have a direct and meaningful impact on the product. We aren’t looking for another cog in the wheel. You will be given significant responsibility and independence. You will be challenged. At Vimbly, you’re empowered to make a difference. “Make it happen” is our first core value. While others will ponder just why. And the strength of the Vimble is the team. We are action-oriented. After you dream, bring it to life. Take initiative. Make it your own. Don’t rely on being micro-managed. We discuss as much as we need to, and then team members are given the trust and resources they need to do their work. When you have an objective, pursue it with all your heart and soul. Go the extra mile. We have a flat structure with a non-army mentality. Voice your opinion. We will sprint when it's a marathon. We will march when they rest. We will have more fun. And we will win together. Embrace new ideas -- deviate from what others have come to expect. Look beyond the status quo. Ask for feedback. Iterate. Keep climbing to your peak. It took a lot of water to carve the grand canyon. We believe in the product. We know it is benefiting lives. We don't just go through the motions.